In October 2010 there was a discussion about polymath projects at an event organized by the I.A.S in NYC. Tim Gowers described the endeavor and some prospects, and hopes, and Peter Sarnak responded with some concerns. An interesting discussion followed. Some of the discussion is described in the IAS Institute Letter for fall 2010 . 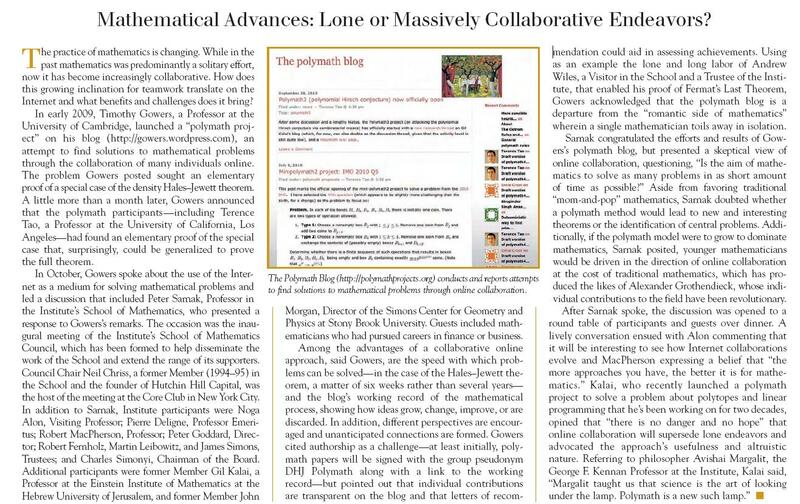 Rota's Basis Conjecture: Polymath 12?